How much do you budget for tires? When it's time for replacement tires, you don't have to break the bank at M.D. Hickman Auto & Tire. 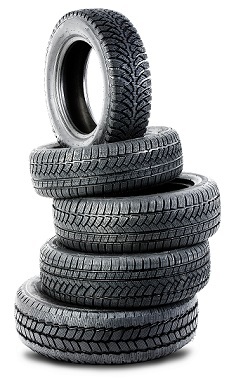 We have a wide selection of dependable, affordable used tires for sale. Whether you're looking for one tire or a set, stop over to browse our inventory of used tires from trusted brand names. Our shop is located in Springfield, MO, near to both Republic, MO and Nixa, MO. Drivers opt for used tires for many reasons. If only one tire on your vehicle is damaged, you can buy a used tire to match the wear of the others. Drivers also buy used when trading in vehicles. Our inventory includes many tread types and tire sizes, so you can find the perfect fit for your specific vehicle and intentions. Used tires can be very safe. Did you know that some used tires have only ever been used on a showroom floor? At M.D. Hickman Auto & Tire, every used tire for sale needs to meet our high standards before being offered to customers. To this end, we inspect each used tire we sell to guarantee that your purchase will provide you with exceptional performance. Do away with buyer's remorse and worry. We sell some of the best used tires available, and we guarantee they will perform fantastically. When it's time to buy replacement tires, you know where to look. Our team is happy to help you locate your next set of used tires. Contact us today to learn more about our low prices and the brand names we have in stock.